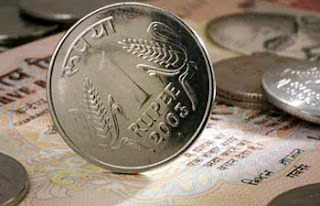 The journey of the Indian rupee has been fascinating.Not just for those who follow money,but everyone who has been born and uses value of measurement for the exchange of goods and services.Since Harappans of the Indus Valley Civilization minted coins.The Rupee has not just changed in value but also in appearance. A student of economics thus describes the various factors that influence a currency,"The value of a currency depends on factors that affect the economy such as imports and exports, inflation, employment,interest rates, growth rate, trade deficit, performance of equity markets, foreign exchange reserves, macroeconomic policies, foreign investment inflows, banking capital and geopolitical factors". An Indophile tracking the tracking in the last decade would have seen two major cycles of depreciation.While inflationary pressures started the slide in the Rupee,the deficit in balance of payments and the Current Account deficit(CAD) of 6.7% have been an additional burden. The rupee fall has been scary.Given the noises by Mr Bernanke of tapering off QE and a strengthening of the US dollar versus other currencies,yet the way the Indian currency has reacted negatively points to a deeper reason.While we were looking at the GDP and PMI and inflation,global commodity prices etc to deflate,the positives for the economy from falling crude and base metal prices has been undone. In a way the South Asian equity markets hold a small clue.Thailand,Indonesia,Vietnam which were the top performing equity markets in Asia have turned out the 3 bottom nations as part of the carry trade was unwound by FIIs on news of the QE tap being turned off sometime in the near future. I have always been a proponent of the the theory that US investments at some point will flow back to their own country on assets becoming seriously cheaper than their Book Value(BV).The recent uptick in real estate prices in US seems to back my view.Will growth hold? This is not the time or place to mention the many strong US listed companies trading below BV having good fundamentals,product cycles and market share globally. I have also in previous blogs stated that a fall in Gold prices will lead to increased demand in India.Headlines in The Economic Times dated 4th June have borne my view. Yes May and June are seasonally the worst months for trade deficit because the monsoon sowing season increases import demand for fertilizers,chemicals and crude.Gold and silver imports surged 138% on falling prices last month.That does not do a lot for the trade deficit! Although I am still bullish on the rupee,my target for december end is around 52-54 rather than the earlier 47.In the short to medium term there will be more pressure and the rupee breaching 60 against the dollar is quite likely.The RBI tried to deregulate NRI interest rates such as the FCNR,NRE rates and despite record NRI inflows the balance of payments situation is still critical.The rate of 55-57 is here to stay for some time. I expect the US $ to strengthen further when the Fed announces a timetable for withdrawing QE.The Government decision to cut withholding tax by15% will boost demand for Indian Bonds and we may also see a rate cut.Weighed against this is the CAD,Trade deficit and lack of resolve on the political side to push through reforms in the insurance sector.The various scams are not helping. If the Monsoon is 98% of normal rains,especially in water starved Maharasthra and Karnataka as predicted by the Meteorological Survey of India,the fall in pulse and vegetable prices will check inflation.How much that will impact the Rupee is an open question. All the currency bulls out there should be prepared for a hairy ride...! !